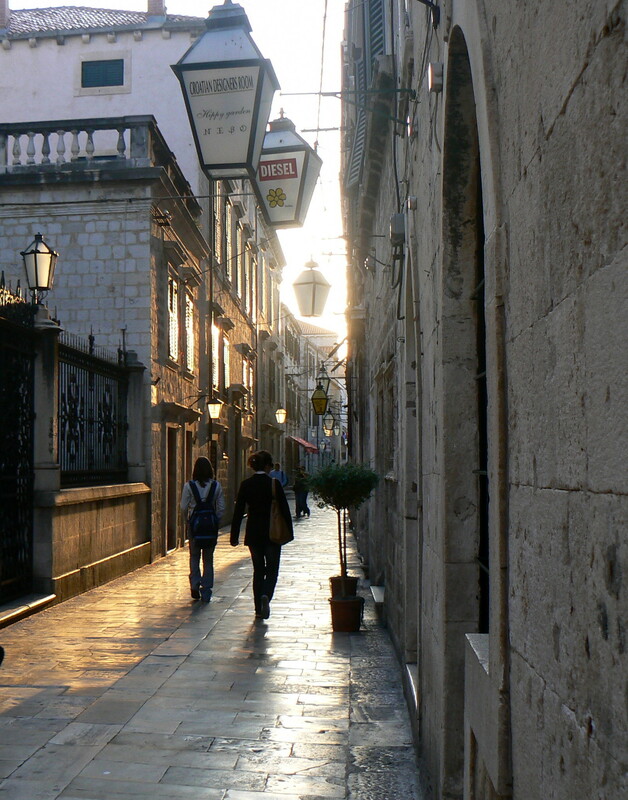 Many visitors to Dubrovnik never wander far from the Stradun but there is so much more to see in the city. Let me take you off that main street and introduce you to one of my favorite people. Parallel to the Stradun is a small street named ‘Ulica od Puca’. Translated it means ‘the Street of Wells’. This was the place for the inhabitants who resided inside of the city wall to draw water from wells. The street used to be lined with small shops where the tailor, the shoe repair, the thread lady, watch repair and many more unique and interesting services for household needs could be found. Now it is filled with many souvenir shops, sadly with only a few offering local homemade items. Most sell simply trinkets made in a country halfway around the world to unsuspecting tourists. Before I head to bed, I flip the remote to channel 813, Dubrovnik’s local television station. When there is no programming they show a live view of the Stradun from the webcam located on the logia of our clock tower. I begin each morning with a ritual of turning on the TV and, as I sip that first rejuvenating espresso, I watch the old town come alive as I sit at my computer. Often the lights of the Stradun are beginning to dim as the sun begins to rise over the red tile roofs, tables and chairs being set up at the many outdoor cafes, deliveries made and the cleaning crew working to maintain the cleanliness of our main promenade. I watch as workers enter town, residents head towards the bus to their jobs, and soon it is 0800. Within minutes I see a man wearing a bright red jacket, carrying a plastic bag slowly strolling down the middle of the Stradun – it is Ciki. Without fail he heads towards his first morning stop, a small pub just below the Prijeko near Sponza Palace. Again, about 0900 I glance up as I watch him walk across the Stradun to his second stop, the Fontana where he greets the local clientele with ‘Morning, Morning, Morning’ his total command of English. The sign on the front door of the barber shop shows a 0900 opening hour, which means nothing as he opens when he gets there. That may be 0900 or 1000 or later. Locals accept this and tend to begin to wander into the shop about 1100, the best time to get a haircut or shave. The shop has become a gathering place for many of the older men of town; they come to sit and talk stories of today and yesteryear. 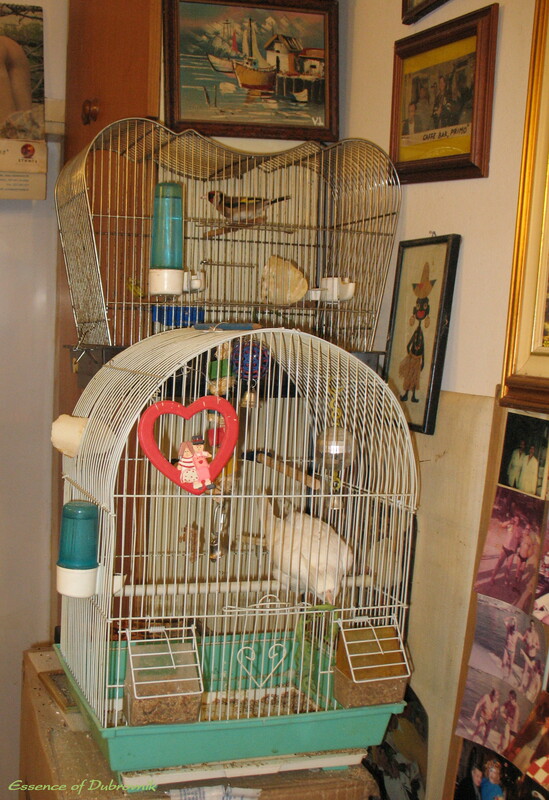 My first visit to the barber shop was amazing; it is filled from top to bottom with several varieties of birds singing in their small colorful cages. Every inch of the walls from ceiling to floor has photos, some of famous celebrities and many, many locals. There are also photos of the damage done by the 1991 Homeland War and awards, plaques and some handmade displays made by local residents adorn the walls. 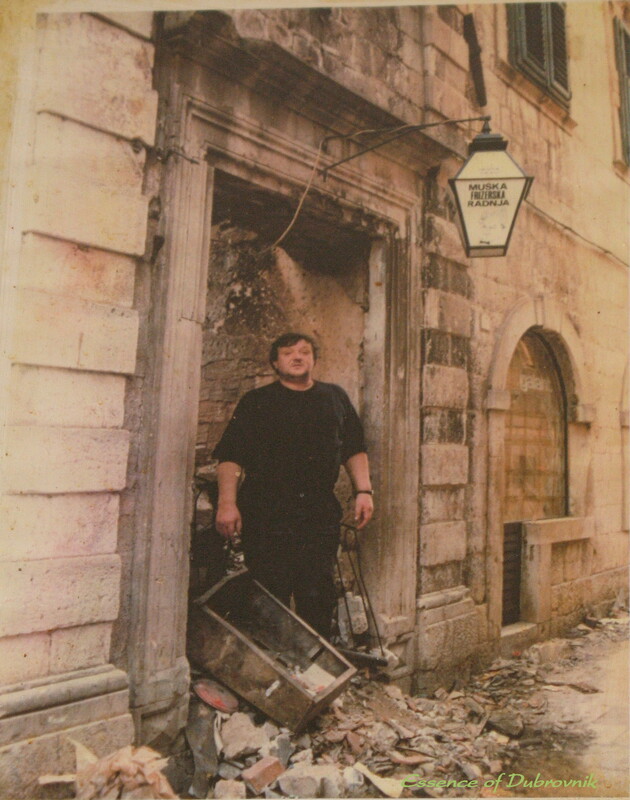 The shop is tribute to many relatives, friends and those who have stopped to visit with one of Dubrovnik’s most famous characters – our friend Ciki. This entry was posted in Lifestyle, Local Characters, Pearl of the Adriatic, Recommendations and tagged Croatia, Dalmatian Coast, Dalmatian Wine, Dubrovnik, Dubrovniklady, European travel, Hidden gems, Stradun by Cavtatlady. Bookmark the permalink. Stopping at one of the local cafes seems to be the norm. A meeting place to hear about the latest news and have that first morning coffee. Thank you for this. I know the street well but don’t recall the barber shop. I think I see in the picture the frontage of a church where lots of stray cats seem to reside and where I have fed them! Are they still there? My husband says next time we’re in Dubrovnik he is going there to get Ciki to give him a hair cut. Make sure your husband arrives at the proper time of day. Too early and his hands are not working and too late could be the loss of an ear. He will arrive at the alloted hour with his boots (sandels) blacked having spent the previous hour drinking coffee and watching the world go by at either Gradska Kavana or the Festival Cafe. He couldn’t risk losing another faculty at his age! Can you confirm the cats are still resident in the church grounds. Spring has finally arrived, we have many more kittens these days. There are several residing at the church. Ciki begins his morning at one of our small local estashblismnets, never at the tourist spots. Naturally he doesn’t frequent the tourist establishments – he’s not a tourist. Are you at liberty to say where he takes his coffee as we also would prefer a non touristy place. On the other hand we (tourists) might not be welcomed in to a local establishment and I can well understand that. The trouble is that visiting Croatia yearly over 35 years I no longer regard myself as a tourist! You can find many lovely small local cafes, just move off the Stradun. Our favorite side of town is on the right after you pass the Onofrio Fountain. Also closer to Sveti Vlaho Church, a wonderful small shop with the best pastries opened a few years ago. All easy to find, between od Puca and the Stradun. Big surprise, it is not coffee which Ciki is drinking! LOL…..No I bet he doesn’t! I think I can make an educated guess as what he imbibes! Good luck to him. what a delightful character. thanks for introducing him to us! Not a character, but locals here do call me the crazy American lady. Oh this is just brilliant … you know once upon a time there was such a barber (or similar) shop in about every little coastal town. It was where the pulse of the place could be felt … actually come to think of it I even remember a long-running TV sitcom with such a character in it, (it was called ‘Malo Misto’, directly translated – ‘Small Place’). I love how you bring those vignettes of daily life at home to me … thank you. And for what is worth Ciki has made me smile all the way here in NZ! You do know that you can share time with my friends and characters when you are able to visit Croatia again. Thank you a compliment from a real writer makes me proud! Malo Misto was playing on TV here when I first arrived. My limited language skills were not up to par and I did not understand everything, but it was brilliant. It was your comment which made me remember it, never missed my daily dose. Oh I am so glad to hear you like Malo Misto … I remember like yesterday watching it with my grandparents, we all loved it! Sending you one big Hrvatski zagrljaj all the way from Wellington -)! Coffee you say, I am there as it is my favorite way to spend time with friends. Soon I hope. So cool. 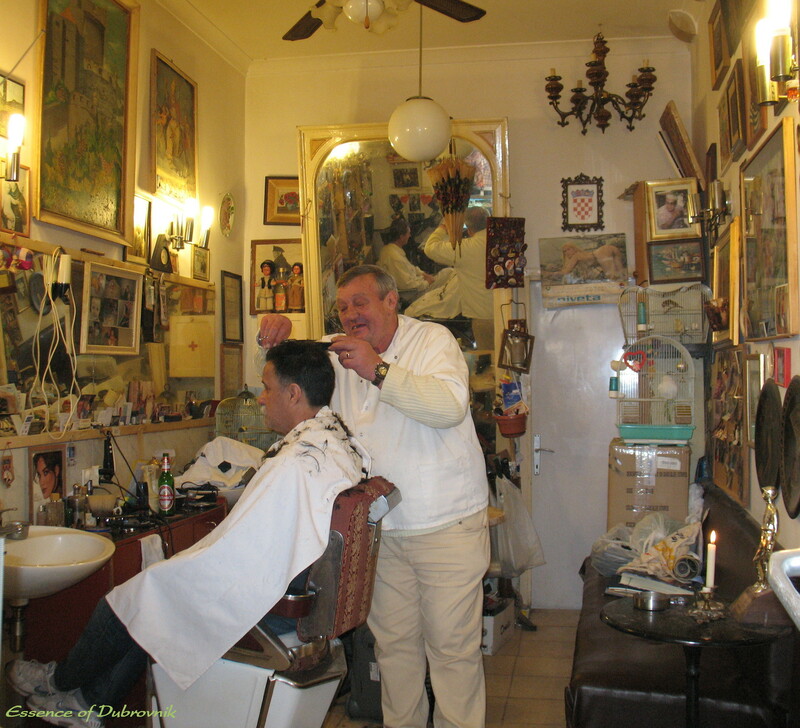 I took a photo of this barber in 2015, and recently posted it on Instagram (@jeanplanstotravel), but wanted to find out more about him, and found your blog.